The times, they are’a changin’. Marvel is getting ready to reboot their line of comics soon with Secret Wars, a massive event that will see various heroes, villains and realities engage in a brawl for it all with the entire multiverse at stake. Whatever the outcome is, expect a very different Marvel universe when the dust settles. And expect a very different Avengers team to assemble. 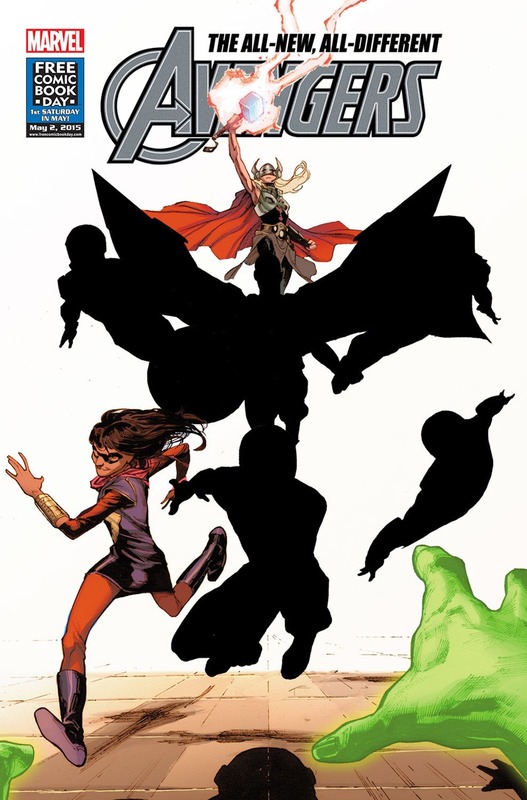 The new Thor is there, as well as Ms. Marvel. 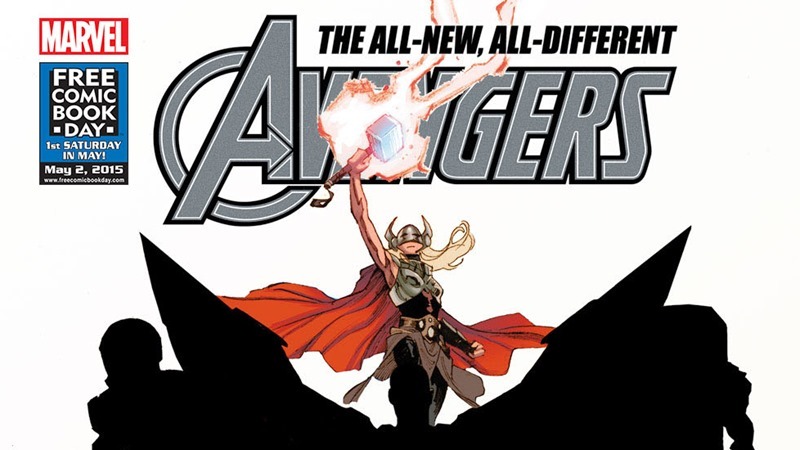 That’s a pair of solid entries already, as you can’t have an Avengers team without an Asgardian on your side, while the current Ms. Marvel has proven to be a massive hit with readers so far. As for the other characters I’d take an easy bet that that’s the new Captain America, Sam Wilson, in the middle of the page. I’d also bet that the Vision is getting some of the spotlight due to to his upcoming appearance in Avengers: Age Of Ultron, while Iron Man rounds out the core trinity. Somebody has to bankroll these Avengers, after all. I’d also wager that Pepper Potts is joining, in her Rescue armour that Tony Stark designed a while back. As for the final cast member, that’s a bit trickier. The pose is dynamic, leading to current speculation that the Miles Morales incarnation of Spider-Man will be joining the team. My money is on Nova right now however, but we’ll see soon. Change has always been a big part of the Avengers. Through the best and the worst times, there’s always been an Avengers team to stand guard and protect the planet, and I’m keen to see just how mighty these mortals are in a couple of months.